New TerraCycle Brigade at Moseley! lipstick cases, mascara tubes, eye shadow cases, shampoo bottles, conditioner bottles, bronzer cases, foundation packaging, body wash containers, soap tubes, soap dispensers, lotion dispensers, saving foam tubes, powder cases, lotion bottles, chapstick tubes, lotion tubes, face soap dispensers, face soap tubes, face lotion bottles, face lotion jars, nail polish bottles, nail polish remover bottles, eyeliner cases, eyeliner pencils, eyeshadow tubes, concealer tubes, concealer sticks, lipliner pencils, hand lotion tubes, hair gel tubes, hair paste jars. So don’t throw these items out. Bring them in a plastic bag to Jay Yeman’s desk and help us reduce waste and earn money for charity. Branch offices, have your Seeds of Green representative contact Jay if you would like to contribute. 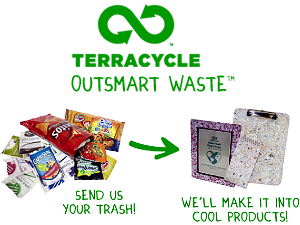 Also, help support Terracycle’s mission by shopping for their unique products at http://www.terracycle.net/.